Home » Crime, Miscellaneous, People & Places » Citizen’s Arrest in Santa Cruz; Was It Racially Motivated? Citizen’s Arrest in Santa Cruz; Was It Racially Motivated? A citizen’s arrest effected by residents of Santa Cruz on Saturday, at the request of Village Chairman Aram Canti, has sparked controversy across the Toledo District, among members of the Maya and Garifuna communities. 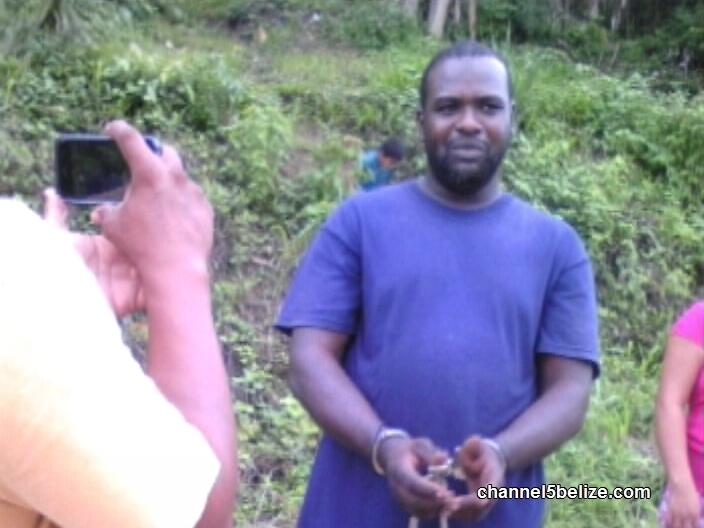 Rupert Myles, who has been occupying land within the village for almost two years, was bound and shackled. It happened following an outburst during a meeting which preceded a planned cleanup of the village. That is according to a statement issued by the Toledo Alcaldes Association earlier today. We will get to that a bit later in this story; however, the question tonight is whether racial discrimination was indeed at the heart of Myles’ detention over the weekend. Myles, who had been formally asked to remove his home from the sacred Maya site of Uxbenka, is in an interracial relationship with a villager. Myles alleges that the chairman referred to him using racial epithets while confronting him. 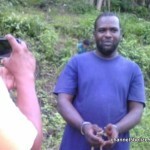 Our colleague at PGTV, Wil Maheia, visited the community during the incident and was able to speak with Myles candidly about the purported circumstances leading up to his arrest. How times have changed. In my youth we were ” BELIZEANS ‘ not black,blue,pink,yellow or brown. ” BELIZEANS ” Goddamn it! I guess the Mayan people need to be reminded that most if not all of them were educated by Garifuna Teachers. I guess it’s not a racial issue but a tradition of land issue and cultural rules, just look at the Mennonites you can marry a Mennonite girl from shipyard but are you entitle to stay there, never. It’s tradition people but sadly the issue of race is spiking all around the world we tend to say and shout racial at every chance we have. This should not be taken as racial but traditional way of there doing, even do the physical harm they did was uncalled, those involved should be charged for that. 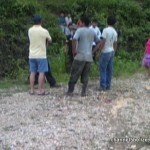 in belize whenever someone gets in trouble with the law,,,,human rights abuse gets them off the hook…. Mr miles has been in the village for two weeks? he has a baby,,,that means he has been visiting the village for at least one year…no complaints of any racial slurs.. during that time. He waits until he gets into trouble,,, then be brings out his lifeline,,,”"the rascism card.”"
SO what is the difference between this and what the LGBT movement is fighting for? Isn’t ostracizing someone because of having a partner who is not of your race a form of discrimination? Sure he should not have been digging at an archaeological site but they would not even provide his wife with a piece of land? Is this not discrimination? 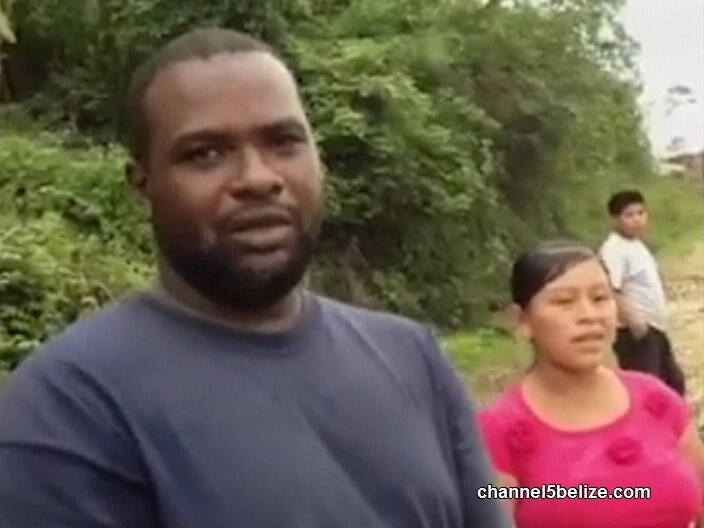 All Belizeans should be entitled to a piece of land not just the Maya. 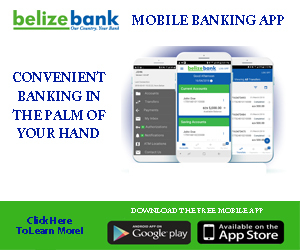 The Mennonites came to Belize long long after every one else and yet they have lands. Sick! We should blame ourselves for not rectifying this foolishness though. We are all belizeans. we should be treated equally. 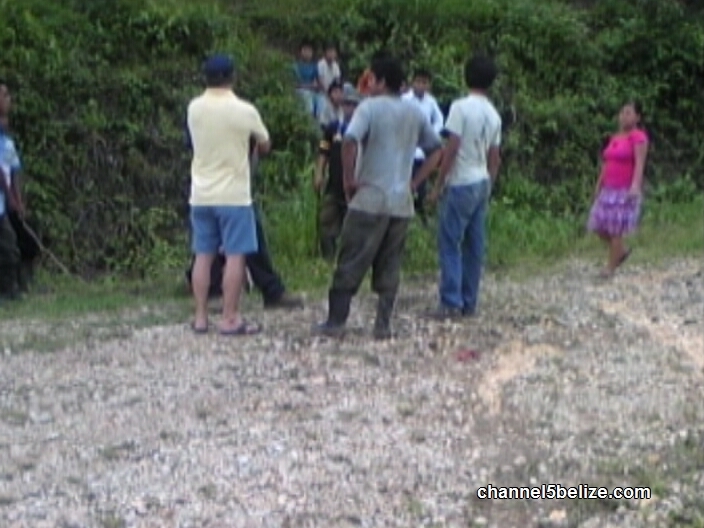 these people in santa cruz just dont want to have anybody in there village even us mayas. our own people. its a shame n disgrace to our mayan community. i am a mayan woman n justice should be serve. it has nothng to do with racisim its all about the land. Hulse Questions Lavish Spending on Bye-elections. What’s It All Worth? Who Is Flippin’s Mystery Confidant? What Does the Leader of the Opposition Think About U.D.P. Scandal? How Will Consolidated Funds be Divvied Up?